So Ive been looking for a long time and finally found one. Its faulty And I knoew that when I got it. Ill post pics and details tonight. "I refuse to prove that my cables will make your system sound better", says the snake oil vendor, "for proof denies faith, and without faith, you will hear nothing." 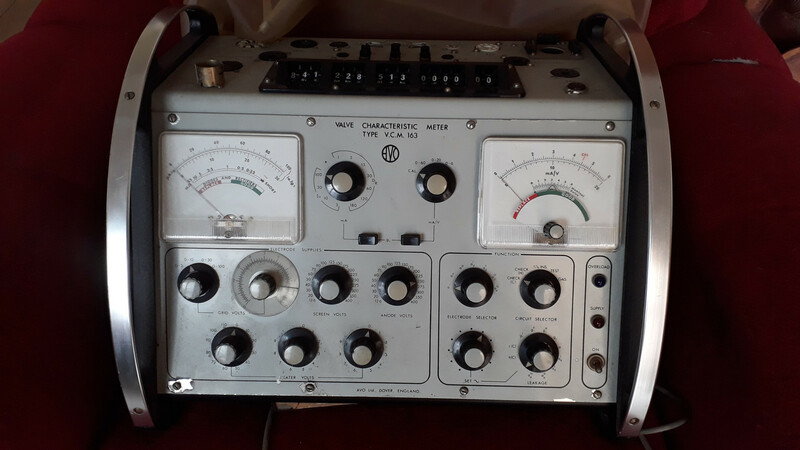 All the best with the restoration of this special AVO VCM 163 valve tester. Pics, Darryl, or otherwise it didn't happen. ^ As for your checklist... I failed, failed and .. she is at least pretty and complete with cover and manuals. It came with a few known faults and a few unknown. At some point the valve base harness melted and fused together. The overload relay was not working. The valve base harness melted together. The current state of afairs. Looks a bit of a mess, but you should be able to sort that out. Wonder what caused the wiring harness to actually melt - over-current? Incorrect switch settings? When you get the chance, please post a pic of it all together again. ^will do. I stripped it the same day I got it before I took pictures. I suspect incorrect switch settings. 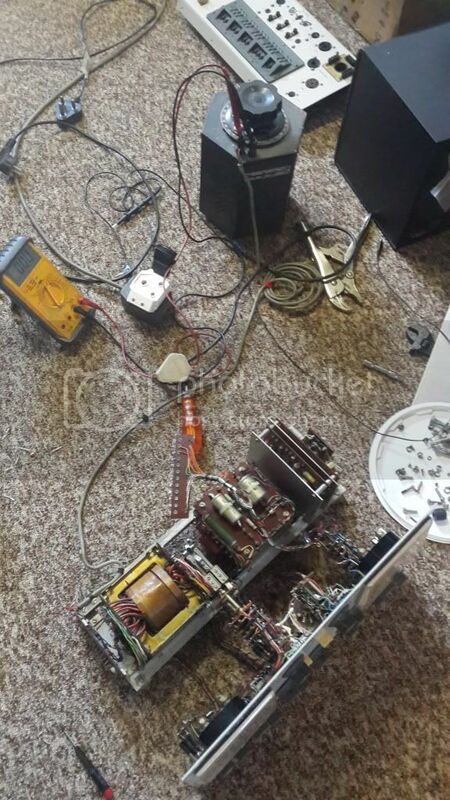 Im currently batteling with a low refference voltage on the oscilator board. Hopefully its something simple and not one of the irreplaceable thermistors or the transformer. 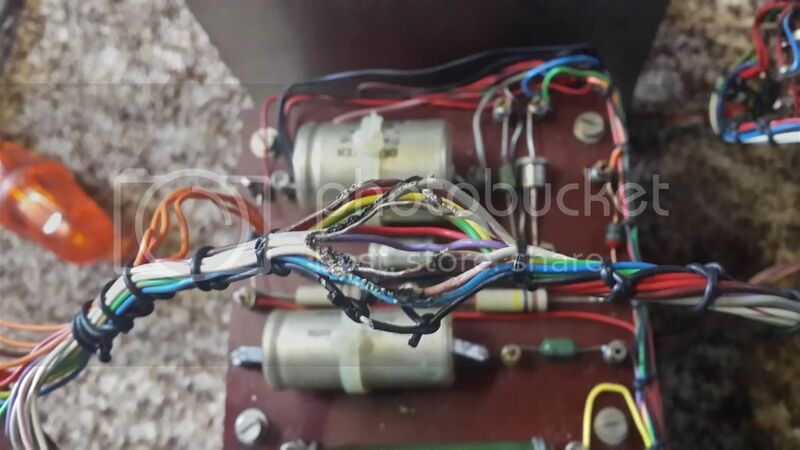 I have already replaced the transistors and the power supply diodes. How much do you think it would be worth assuming it is in a perfect working order? Transistors have ratings; vacuum tubes have guide lines. Locally from free to R10k plus (I have offered 3 persons more than that and been turned down before( but Im not the usual buyer)). ...why you want to sell one ? I do have one in near perfect conditions, with original books and plastic cover. But it is too useful to sell. I traded it for some kit and was just wondering. I have done a lot of research into it and I must say it is a very versatile beast. The AVO 163 is the most user friendly of all the AVO valve testers as one can simultaneously observe the Ia and Gm readings. Also the only AVO valve tester that can test Compactron and Nuvistors (not really used in audio applications). I am always in the market for another one. So happy....had to share...found a perfect unit!.....with the AVO book listing all the tubes and settings.. happy days. Congratulations! Pretty sure you will make good use of it. Use to use one a lot when restoring vintage valve radios, but for the past couple of years has just been sitting on shelf in workshop. I find it easier these days to just substitute a suspect valve with a new one! I saw Sputnik, well... actually the booster rocket that went into orbit with it!! Congratulations, a rare find. I use my 163 on a regular basis. Your one looks like if the front panel has been opened a couple of times. Most probably for service reasons. It is necessary to calibrate the 163 to ensure that it function according to its specifications. The service manual is not very clear on certain repair/calibration actions. Just be careful, there are some faulty settings in some the AVO data books. I am busy compiling a list of faults/corrections. Charles, please keep me informed re the list you are compiling.